While the unemployment landscape in our country remains unchanged, only the cities and lines are changing. While the unemployment landscape in our country remains unchanged, only the cities and lines are changing. Citizens, entered lines for the 6-month temporary work in front of the İşkur (Public Institutions by the Employment Agency). Kilis, Turkey announced that it hired 1,500 people to be employed for 6 months in public institutions by the Employment Agency. Following the announcement yesterday morning for applications starting in the early morning, the applicants created a queue in front of the Provincial Directorate of İşkur to apply. Police teams in front of the Provincial Directorate of work took measures, said they wanted to get to work. Authorities, the applications will continue until January 18 and the people to be recruited later by a notary public will be determined by drawing the draw will be expressed. Karaman in Community Benefit Program, under the temporary work for 500 people, a large number of people to be employed for 6 months, Turkey Business Association has created the Provincial Directorate of the lines. It has been announced that 500 people will be employed for 6 months in the public sector in the city. In addition to the municipalities and district municipalities, the Special Provincial Administration, the Provincial Health Directorate and the Karaman Mufti Office will also recruit personnel. 500 people will be employed for a temporary work of 6 months. Many people who want to work temporarily, ISKUR Provincial Directorate flocked to. Many institutions will recruit staff to determine by exchange rate method. Ermenek Municipality and Karaman Mufti will use list method in recruitment. 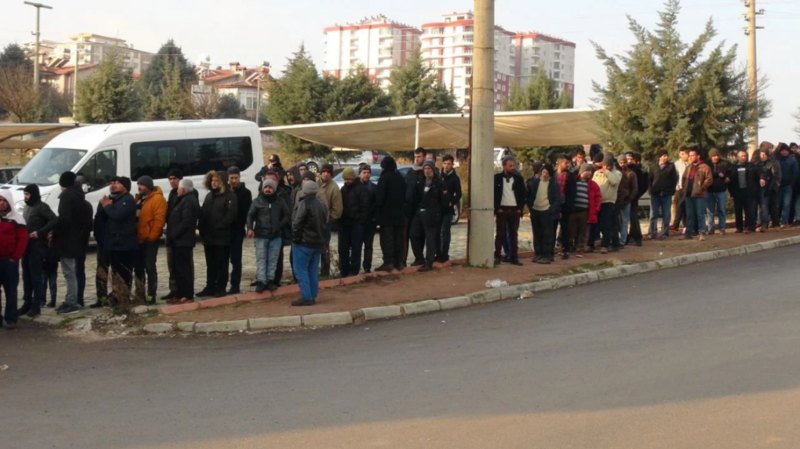 Citizens arriving to apply for employment over the news that 1,000 people to be hired, and long queues were occured in front of the Iskur.